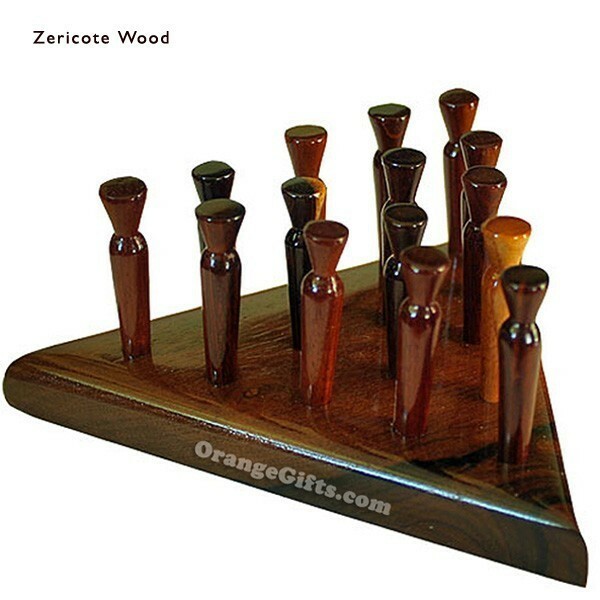 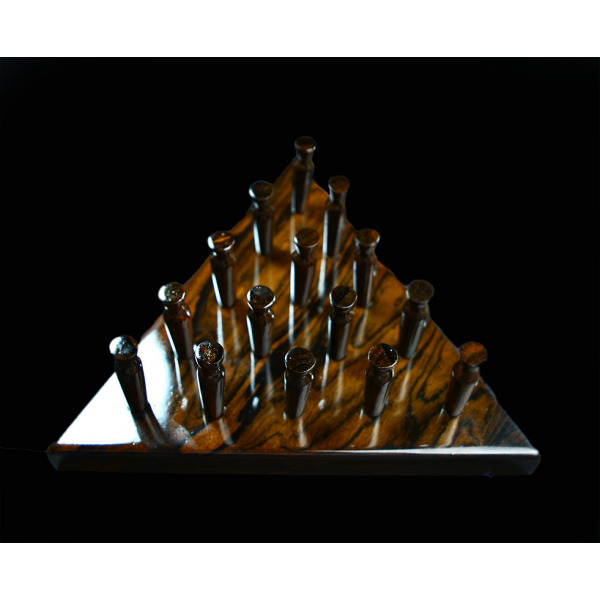 Peg solitaire on a triangular board of exotic hardwood, or mahogany, with hardwood pegs in assorted colours. 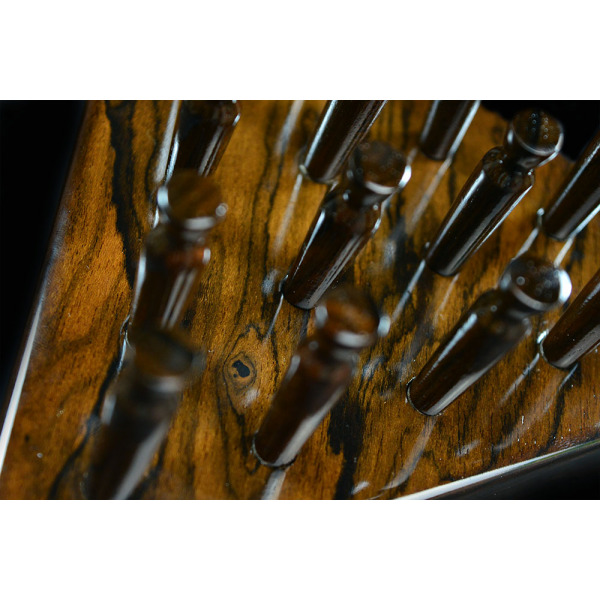 The earliest version of this game dates back to 1697 and the court of Louis XIV. Other variations of this game may use marbles with indentations, or golf tees. 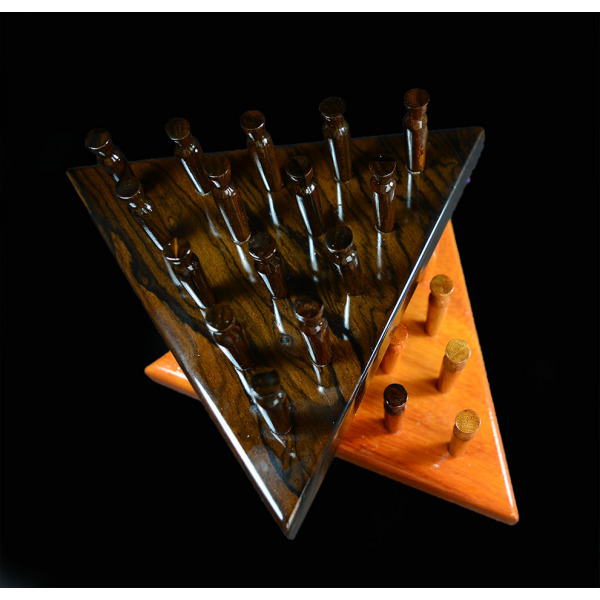 Our fifteen-hole triangular version (7.25" per side) is made from quality Belizean hardwoods with a glossy lacquer finish to bring out the beauty of the spectacular natural colours.